ESTAR(SER) — The Esthetical Society for Transcendental and Applied Realization (now incorporating the Society for Esthetic Realizers) — is a private, dedicated body of amateurs, scholars, and interested parties who concern themselves with the historicity of The Order of the Third Bird. 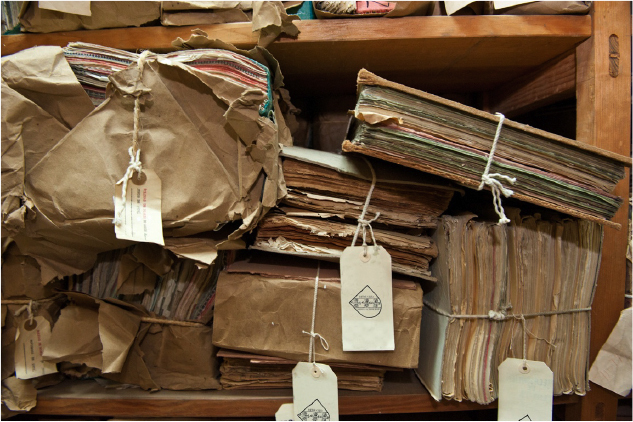 This community of researchers works to sift evidences of Bird-like attentional practices in the historical record, and to present those evidences to critical readers. 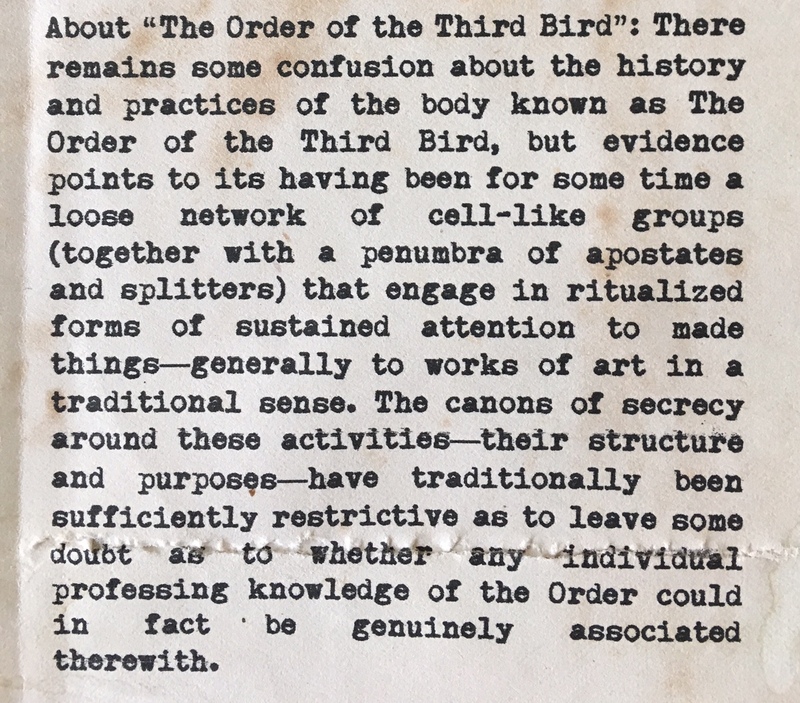 In this project ESTAR(SER) is fortunate to be in possession of a vast (possibly infinite) body of source materials — known as “The W-Cache” — which appears to have been assembled by an aspiring historian of the Order seeking to write a comprehensive history of the Birds. He or she did not succeed, but bequeathed to the Society a valuable and diverse archive. The academicians of ESTAR(SER) have made it their business, over the years, to publish critical editions of these primary sources, materials that see print in the Proceedings of ESTAR(SER).